This is the story of a life spent largely in the world of chemistry, mainly as a college or university-level teacher. It is also the story of an ordinary boy, a child of the war years, who rose from an unpromising start, leaving school at 16 with four mediocre O Levels, to become more successful and fulfilled in a career than he had ever imagined possible, eventually becoming a university professor. 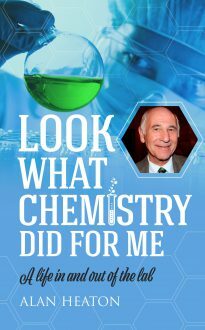 The book also describes the immense contribution made to our lives by chemical research and the chemical industry.